When looking for a photographer to document their wedding, many brides often try to find those that have the best portfolio. However, beautiful online portfolio of images does not always represent the all the images taken during the event. As it is with all other vendors, it is best to meet in person. A good question to ask your potential photographer is how many weddings has he or she shot and is it their specialty. Your wedding day is the most important day of your life, you want to make sure a professional wedding photographer is documenting this important day. What exactly is included in the packages? do your packages include high resolution digital files? Do they retouch the images? How many images will they provide from the whole event? Would you be the one shooting my wedding or do you work with other photographers? 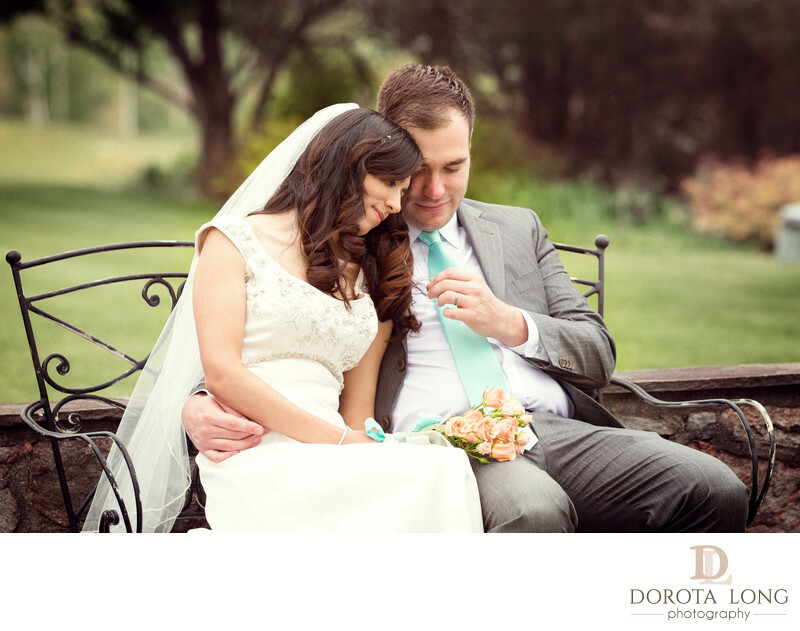 Dorota Long Photography provides top quality service to each client and I can assure you I will be the one shooting your wedding as well as editing all the images. Will there be a second shooter and is he/she included in the packages? What style does he or she specialize in? It is important to do research on the topic and find out what style you like best. The worst case scenario is that after the wedding all the images you received were posed while you realize that you actually prefer more candid approach. As I mentioned before , my style would be best described as a blend of fine art and modern photojournalism. This means that while I love to provide you with stunning images of you and your future spouse with my artistic touch, you will find both posed images as well as candid shots. From my experience parents, grandparents and more traditional family members usually prefer those traditional posed shots while you or your friends might like the candid shots. In the photo, bride and groom were resting on a bench talking. The groom was playing with the bride's hair and they both acted as if I did not exist. They were both just enjoying themselves. I immediately noticed this special moment between the couple and decided to take this shot. I must say I was able to capture many moments like this at this Connecticut Wedding Venue. Candlelight Farms Inn in New Milford, CT is a beautiful country event venue for outdoor weddings. If you are soon planning to get married, I highly recommend stopping by at New Milford and checking it out.